Imagine this… the world’s first chalk drawing park, for kids, parents, schools, adults, elders, and the community. The chalk drawing park can be used by anyone, schools, special art events, veterans, corporations, and for international street painters (chalk drawings) to come and run workshops. Oh and for a few more world records. Mark Lewis Wagner, the founder of the 510c3 nonprofit Drawing on Earth, which passionately connects art and creativity in youth and communities around the world, has a new project in the works. 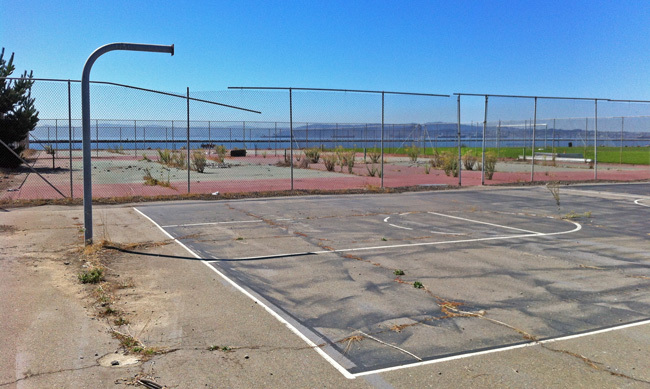 There are 4 abandoned tennis courts (28,800 sq. 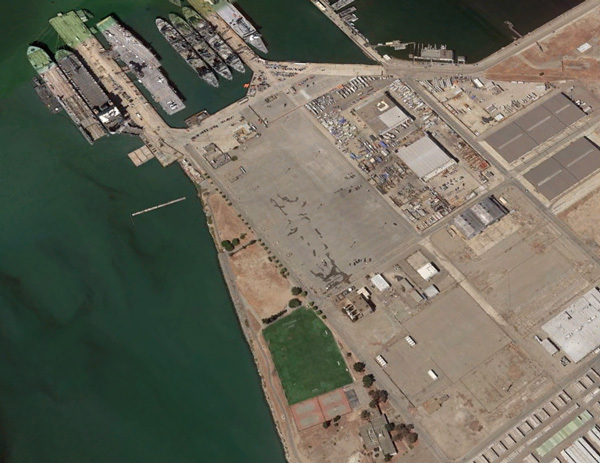 ft. = 8,780 m2) on the decommissioned Naval Air Base in Alameda California USA. “Build it and they will draw.” Drawing on Earth is creating an experiment in community creativity. We are still in the beginning phases and City negotiations but it’s all looking good. The budget is approx. $32,000 with our main ticket items, $10,000 to replace the fence, $6,000 to repave the surface, $6,000 to buy a street scrubber to be environmentally green, $2,000 for chalk, and $1,500 for lights and a power generator. We are begging work on grants and a Kickstart for funding. Please DONATE to the creative cause! To create a buzz and get some PR and to create some funding, Wagner plans on attempting another Guinness World Record – this time for the largest chalk drawing created by an individual. Interested in Helping it Happen? DONATE now! Mark Lewis Wagner: In 2008 Wagner organized a chalk drawing project that took place on the decommissioned Naval Air Base in Alameda, CA. USA. In collaboration with the City of Alameda, Alameda School District, Alameda Educational Foundation, and the PTA Council, a Guinness World Record was set for the largest chalk drawing. 6,000 people helped (over 4,000 elementary school kids), 90,000 sq. 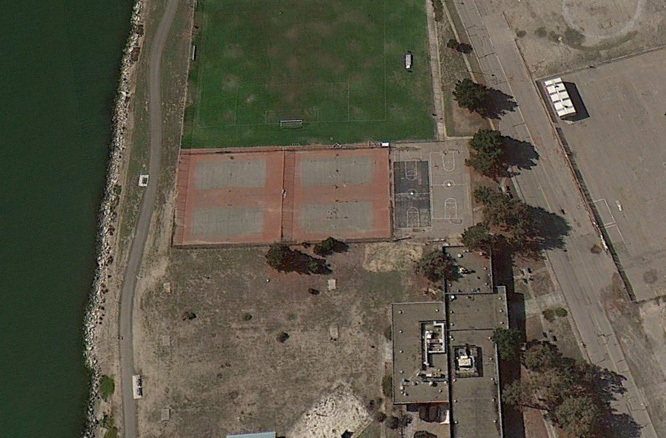 ft was covered (almost 2 football fields), and a satellite photograph was taken of the art. Wagner has a total of 5 pieces of art photographed by satellites. He also works as a digital artist with clients that include Pixar/Disney, Smithsonian – Museum of Natural History, SpaceX, SF Exploratorium, CBS Interactive, and Genentech.